When I see the word “sweat”, it reminds me of my old friend who is currently in Sibu. Why did the word “sweat” have any connection with him? Well, you guess it right. 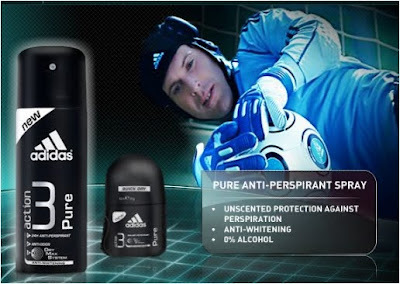 He “sweats” a lot!! 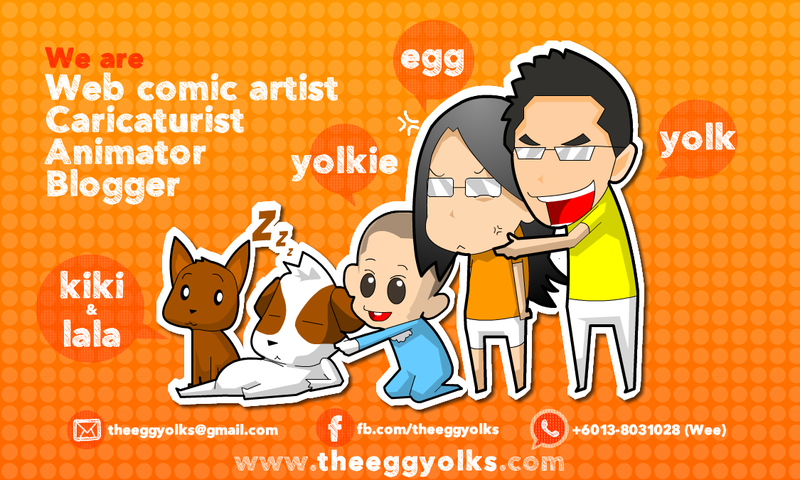 This friend of mine named “Yew Wan Ing” which sounds like “you want ink? ?” LOL! It’s not that I want to complain about him but sometime the smell of sweating and those stickiness just makes you feel uncomfortable. 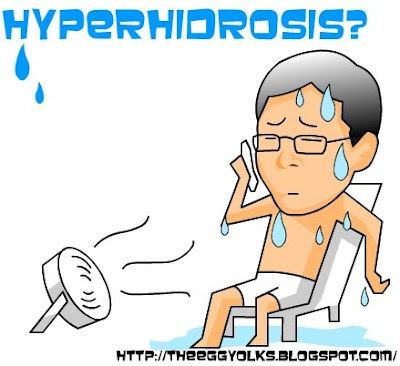 I’ll give you some examples of his “excessive sweating condition”. He loves making soups but when ever he cooks, you can see his sweat flowing like water tap. 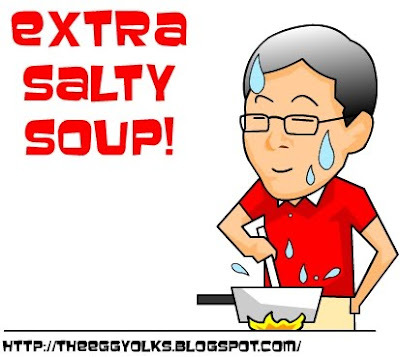 In the end of the day, his soup tasted extra SALTY!! 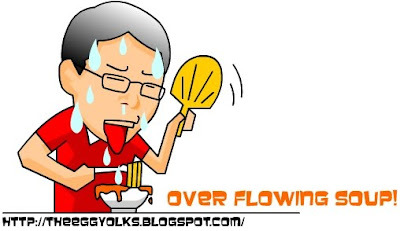 Sweats when he consumed spicy food. He couldn’t even stand “Maggi Curry”s spiciness. He’ll end up having an over flowing soup which gets saltier -_-"
Wet shirts during day time. You can see sweat stains and white marks all over his shirts when they dry off in an air-conditioned room. Squeeze a bucket full of sweat after sports. 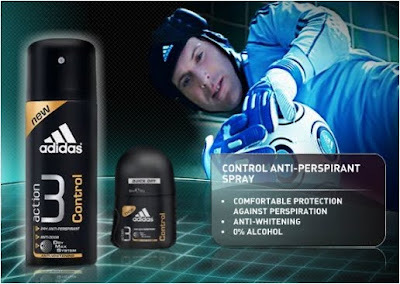 I guess the only cure for him now is to get himself a bottle of Adidas Anti-Perspirant Spray! 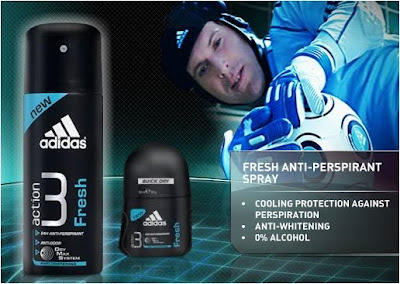 Adidas Action 3 Anti-Perspirant comes with 6 main types with options of spray or roll-on. Well, I suggested my friend to use the “Adidas Action 3 Intensive Anti-Perspirant Spray” few weeks ago and guess what is his feedback? 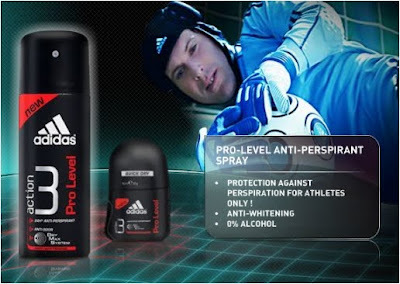 For more information on Adidas Action 3's product, please visit here!